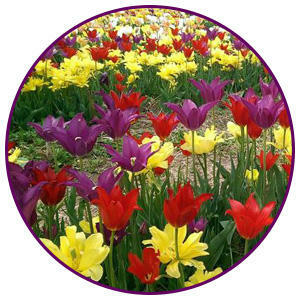 With thousands of flowers to choose from you’re sure to find the perfect daffodils and tulips to pick. Take home your favorites to make a beautiful bouquet or enjoy a day on the farm with a picnic. The Washington Nationals affiliate team is set to kick off their first home game on April 14th! Tuesday games are only $2 a ticket…you can’t beat that price! Spend an evening at the ball park and experience the fireworks that fill the sky after every Saturday home game! What better place to walk, shop, and dine than in the charming town of Occoquan. The warmer weather makes Madigan’s Waterfront the perfect place to sit by the water and enjoy a meal with family or friends. Shop in local boutiques for unique treasures you won’t find anywhere else. With warmer weather comes fresh produce and outdoor farmers markets, which are easy to find in Prince William & Manassas. Start your Saturday with a visit to the Town of Haymarket’s Farmers Market from 8am - 2pm or head to the Historic Downtown Manassas Farmers Market from 7am-1pm to find the freshest fruits and veggies. On Sundays from 8am-1pm you can find produce, fresh bread, and beautiful spring flowers at the Dale City Farmers Market. 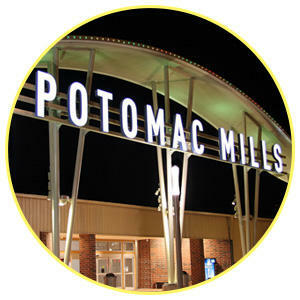 Shop Potomac Mills, Virginia’s largest outlet mall with over 200 brand name stores to choose from. Stock up for spring and save big by taking advantage of the great deals at places like J. Crew Factory, LOFT Outlet, and Nordstrom Rack! Then grab a bite at Bobby’s Burger Palace or Matchbox American Kitchen! Calling all foodies for the VA StrEats Fest May 28th 11am-7pm and May 29th 12pm-7pm. Try foods from over 30 of the best food trucks in Northern Virginia! Admission to this event is free. Enjoy the weather while learning more about Historic Downtown Manassas. Take a free walking tour of Historic Downtown Manassas. Tours are offered on Thursdays and Fridays from April to September. Bring your own bike for a tour of modern Manassas and must-see spots. Bike tours are offered every Saturday from April 2nd-June 4th and cost $5. Begin with a wine tasting inside the historic manor where some friendly ghosts are rumored to live. Grab a glass of your favorite varietal and sit outside while overlooking the beautiful farm vineyard. Be sure to visit during the warmer months to hear live music on the patio! This 500-acre park is nestled along the Potomac River making it a great location for boating and fishing. Cast your line at the pier where you’re bound to catch some fish. Take a boat ride along the river or stay on land and hike the trails. Finish your day by watching the sun set over the water. Travel back in time to 1776 and enjoy a colonial inspired evening in this tavern. 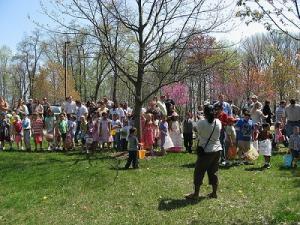 Experience the food and games of that time and hear from costumed interpreters. Sample beer from BadWolf Brewing and dance the night away to colonial music! Tickets for this event are $35 and reservations are required. 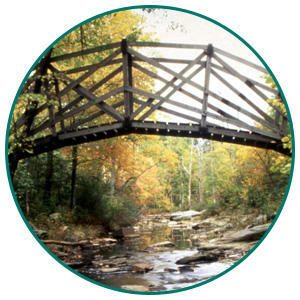 Celebrate the National Park Service’s 100th birthday by visiting Prince William Forest Park and Manassas National Battlefield Park. Admission to the parks will be free April 16th-22nd in honor of the big day!